It is not possible to remember something, you did not hear properly. Hearing problems are often mistaken for short term memory loss. 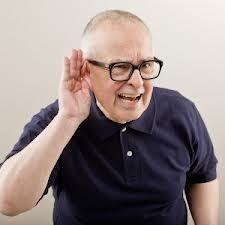 If you have a family member, friend or relative who is unable to remember things and says that you never said that, when you know she did, it could be due to hearing loss. It might be quite frustrating for you when something like this happens, but you need to see the other side of the coin. A person with hearing loss has to make people repeat themselves countless times a day. How annoying and frustrating it is to keep asking things over and over again which is even more tiring. Inability to hear, understand and remember things triggers withdrawal. The person stops going out and meeting with people or relatives. It even makes the person unsure and affects the decision making abilities as s/he is not sure what information he doesn't have. They are unable to hear and understand a group of people talking to each other. Since it is not possible to speak loud and smile at the same time, they may even misconstrue people's intentions. Memory problems caused due to hearing loss makes their life even more difficult. Confusion, depression and anxiety are pretty much on cards with hearing and memory problems. If you want to help a person, you need to be patient with that. Hearing loss is quite common with people above 70, hence they suffer from memory related issues more. 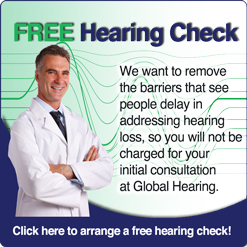 Acceptance is the first step towards hearing loss treatment, so people suffering from hearing loss need to accept the fact. They should see a good audiologist and get a hearing test done. The audiologist will then suggest a hearing aid according to the needs.